Sep 5th, 2016: A new day, a new venture. After professional writing for 16 years, I felt the need to put everything in one place (after much coaxing from family, friends, associates and well wishers) and so this website. And what better day then on Ganesha Chaturthi. The God dedicated to auspicious beginnings. If there was one God that was most loved, revered and also prone to myriad interpretations it is Ganesha. In fact if you look around you will see Him everywhere – reclining in a car, at a temple – just look and you will know what I mean. I have been fortunate to visit many temples dedicated to this cute elephant headed God across the country and especially in Karnataka. So whether it is in Annegudde, Hattiangadi, Guddatu, Idagunji, Gokarna in Karnataka, Siddhi Vinayak in Mumbai and Ashtavinayaka near Pune and many more. However what is truly fascinating is to learn about the many legends associated with the much loved God. Traffic Ganesha – revered and it is believed that if you get your new vehicle here you will be safe while driving. Circle Ganesha – located at Basavanagudi, Netkallapa Circle, this is also called volleyball Ganesha as the sport is played extensively in its premises. Power Ganesha – is the only temple that has a diamond armour and diamond headgear for the God and is at Jayanagar IV Block. Techie Ganesha – at Koramangala a favourite with IT professionals. In Karnataka, we believe in celebrating the Gowri (Ganesha’s mother) festival a day before Ganesh Chaturthi. The pic above has the idol of Gowri. Food is a big part of the festivities and sweet and savouries galore are in store – thanks to Ganesha. 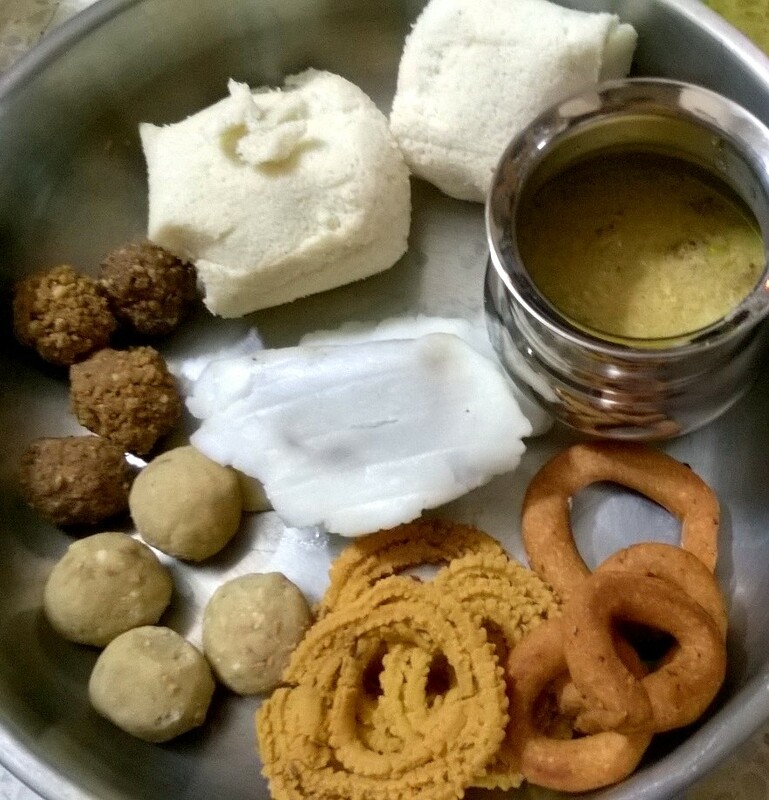 Modak, Laddus, Chakli, Kodubele and more are part of the yummy delicacies. And finally this website would not have been possible if my sister Rashmi had not persisted and booked the domain name. P.S. This website is in progress – I will keep adding new links so do check back when you can. Thank you for stopping by. Read my post on the annual Bengaluru Ganesha Utsava – BGU as well.